Halo Neuroscience’s flagship wearable – the Halo Sport – is an odd duck. 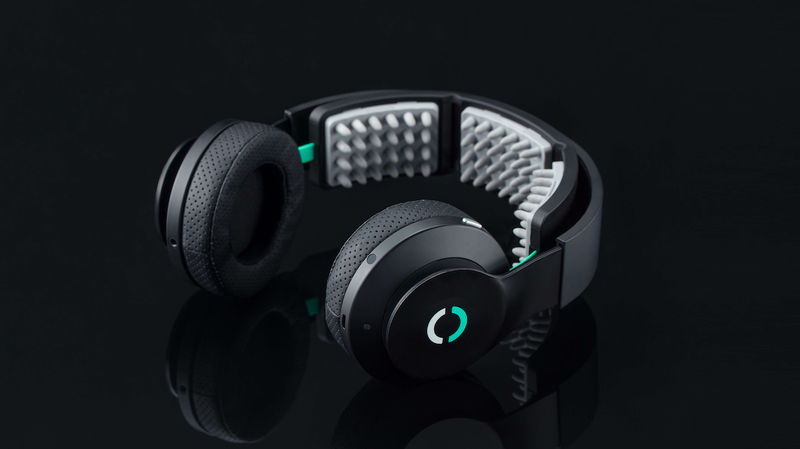 It's a pair of headphones that uses something called neuropriming to enhance your progress, stimulating the part of the brain that’s responsible for muscle movement and making you more efficient at training in skill, endurance and strength. That’s made it useful for professional athletes and the military who need to squeeze every inch of performance out of themselves. But it unfortunately leaves out a whole swathe of regular people who may want to improve their fitness, yet are not the intended audience. How do you get a regular person to sign up for something as advanced as Halo Neuroscience? A good start is hiring Yasi Baiani, Fitbit’s head of product management and software experience, to be Halo’s VP of product. Baiani was in charge of Fitbit’s wellness programs when she first joined the company, which included features like female health tracking and sleep tracking. Eventually, she expanded her portfolio to all of Fitbit’s software experiences. To see where Halo Neuroscience could go, you first have to look at where they are now and how Baiani could help them. Halo uses a technique called neuropriming, which is part of the complex science called neurostimulation. It's based on the idea that the brain works on repetition – the more you do something, the better you get at it. Neuropriming basically fast tracks all of this. It stimulates your motor cortex and heightens the learning ability in your brain, which is called "hyper plasticity" or "hyper learning", for up to an hour. In this timeframe the brain is more efficient at learning, which also means it can achieve results faster. Basically, Halo says its tech can accelerate gains in strength, responsiveness, endurance and explosiveness. Unfortunately, the Halo Sport isn't exactly the most user-friendly device. At 340g, the headset is pretty bulky, and not all that comfortable or attractive. Worse, however, is that there's a lack of post-workout feedback, so you don't exactly know when you're done. You also get a bunch of data with little instruction on how it's helping you or what it means. This is fine for pro athletes, but not for regular people. Thankfully for Halo, Baiani's previous work is all about regular people, part of which is learning how they live. Baiani says that when Fitbit was developing sleep tracking it went to people’s homes to see their sleeping environments, to truly understand what they need and what they might be interested in. It paid off, as Baiani says sleep tracking became one of Fitbit’s most successful products, creating a lot of retention and engagement – and even giving Fitbit a competitive advantage over other trackers. Seeing as how we here at Wareable use Fitbit’s sleep tracking as the gold standard in wrist-based sleep tracking in our reviews, we'd agree. Baiani says Halo Neuroscience will do a similar thing for its next generation of products. These devices won't just be about athletic performance, either, they'll go after other targets. “They could have very specific use cases and very specific impact, which could be really powerful,” she says. While Baiani wouldn't elaborate on what those specific use cases could be, it's not hard to imagine what's possible. This is technology that helps you learn faster, and that can be applied to both physical escapades and mental ones. It's possible that future Halos could be used to help to study for tests, or memorise instructions, or for work training. Thus you could see Halo selling versions of its headset to businesses, students and athletes. One of the hurdles Halo will have to overcome as it moves forward to more devices and features for regular people, is learning to balance resources. Thus far, Halo has leaned on its pro athlete wearable and its partnerships with leagues, sports teams and athletes. Obviously, the consumer relationship is a very different one, and Halo will have to learn how to balance consumers and pros. Baiani says the needs of regular people and pros mostly overlap. Sure, pros might need a couple more advanced features, but if the basics aren't right no one will use it in the first place. The struggle after the basics is all about how to allocate resources to satisfy both regular folks and pros. One of the things that really intrigued Baiani about Halo is how much potential the company has. Fitbit is one of the most well known names in wearables, and it has a number of successful product lines that it can work off. Halo is a single-product company, with a number of areas it can grow. Baiani says 2019 will be a big year for Halo Neuroscience. She’s looking to lead the charge in developing a new generation of products that are intuitive and easy to use, with the goal of making people comfortable adopting the technology it's selling. If she’s able to pull it off, Halo might have an even bigger 2020 and beyond.